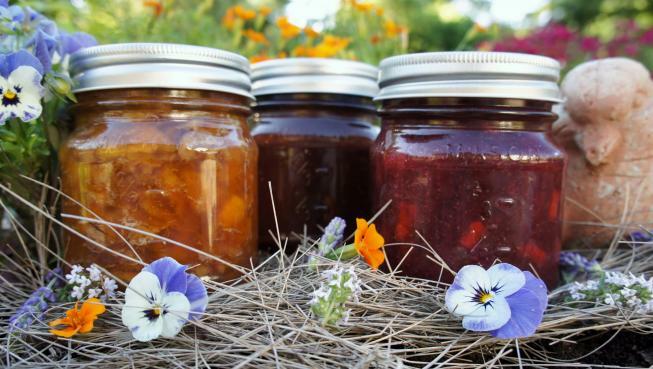 After last year’s successful ‘Sticky Fingers’ jam and pickle workshop, we decided to kick off our workshop series in 2015 with another opportunity to learn tips and best recipes for fruit preserves. The workshop will be run by local Guildford jam maker Bev Roseveare, who will be sharing her recipes and giving a hands-on workshop on jam and pickle making. We’ll cover choosing fruit, preparation, cooking and jarring the jam and pickle. While the jam is cooking, we’ll enjoy afternoon tea. Kids are welcome – we’ll have some relevant children’s activities happening in conjunction with the workshop if your little one/s are too small to join in with the adults. Something to share for afternoon tea if you would like to. RSVP: We want everyone to be able to get their hands sticky. Please RSVP via Eventbrite so we can keep an eye on the numbers. Venue: Sian’s place, address on RSVP. Time: Join us from 1pm until the jam cooks about 4pm. This entry was posted in Event, Food, Gardening, Kitchen Gardeners and tagged community, guildford, jam, Kitchen Gardeners. Bookmark the permalink.